Combining the convenience of the New Bioforce Revolution pressurised filter with a powerful and efficient solids handling Aquaforce pump creates a complete filtration system backed by the Hozelock Cyprio Clearwater guarantee. 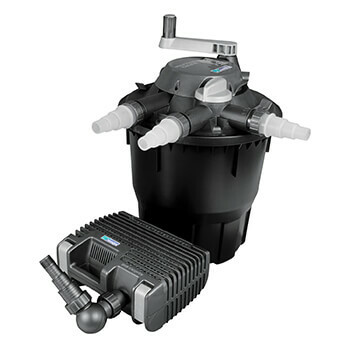 The New Hozelock Bioforce Revolution 6000 Filter Kit consists of the Bioforce Revolution 6000 UVC filter and the Aquaforce 4000 pump and is suitable for ponds up to 12000 litres. Profiled foams for efficient waste removal. Layered foam for thorough yet easy cleaning. This Hozelock Filter Kit combines the cleaning prowess of the Bioforce Revolution 6000 UVC filter with the immense power of the Aquaforce 4000 pump. Together, the two components thrive to keep any pond up to 12,000 litres crystal clear, for you and your fish to enjoy. Rather than large conventional sponges, the Bioforce filter uses hundreds of small sponge cubes along with small pieces of organic filter media. When you're ready to clean your filter, there's no need to take everything apart. Just switch to the alternate outlet, which can be used to direct water to a drain or bucket rather than your pond, and then rotate the handle on the top until the water runs clear. Watch the video at the top of this page for a demonstration. 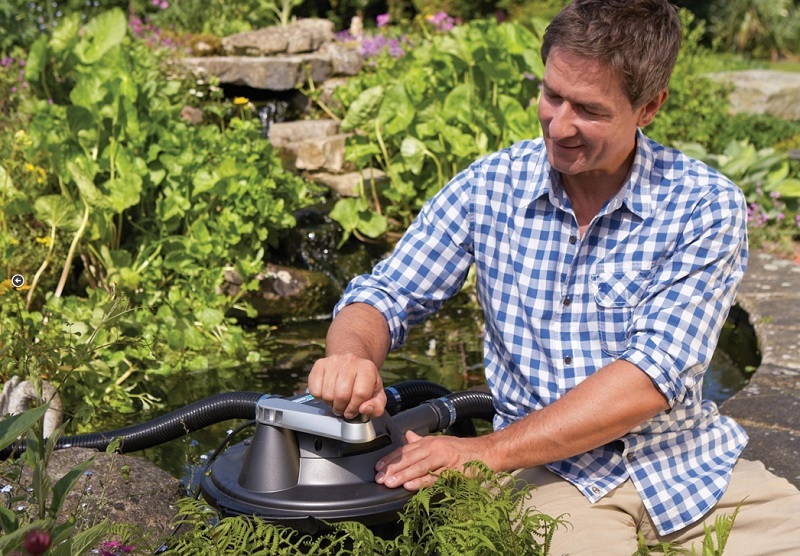 The Bioforce filter is pre-assembled for easy installation and can be hidden at the side of a pond or buried in the ground up to the level of hose inlets. The pressurised filter allows the water to be pumped to a higher exit point to create relaxing waterfalls. Pumps up to 4000 litres per hour. The Aquaforce pump is powerful and efficient meaning reduced running costs with maximum results. The pump features an advanced water cooling system, which minimises the risk of overheating. Not only is the pump functionally great, but it can also be used to direct water to create stunning waterfalls or sprinkler features.